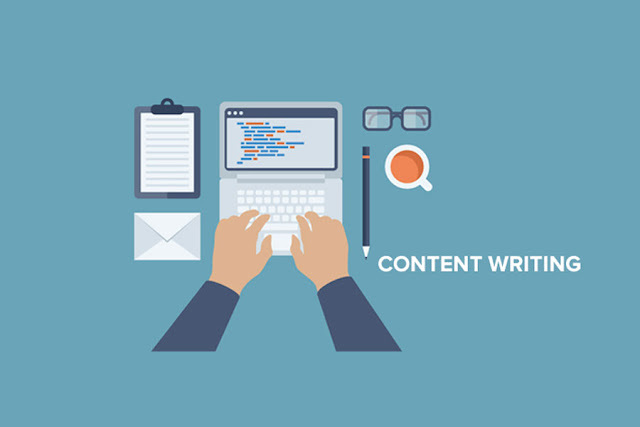 What is Content Writing and How Can It Help Your Online Business? Think about how you use the internet. According to eMarketer, most people spend about 5 hours and 46 minutes of their day online. Companies know this and dedicate time, money, and other resources creating content that will help you find the information you’re after. Really good content writing makes the experience entertaining, too. It’s with content marketing that companies get your attention and answer questions you have about their product or service. But that’s not all good content does. Companies use content marketing to overcome your objections before you’ve even formed them, and they help you identify if you’re a good customer for what they offer… and they do it without any sales language at all. Content marketing doesn’t sell directly, but it works to make your prospect ready to buy. And it can help your online business in a number of other ways, too. ​If you’re not already using content marketing as part of your online marketing strategy, then you should seriously consider leveraging the power of content marketing into your online business. Let’s look at 5 ways you can use content marketing in your online business. Because most people spend their time on the internet looking for information or seeking entertainment, websites with content that meets these needs attract more traffic. If you write well and focus on creating high-quality content, you’ll get more web traffic through organic search, through social media links, and through referrals from other websites. People love to share useful and interesting articles with their friends, family, work colleagues, and others. Having great content is a great way to have other people promoting your content and driving free traffic to your website. When you find a great website with content that is well written and that scratches whatever itch you needed scratched, chances are you’ll come back to that site over and over again. The more often you visit, the more likely it is you’ll sign up for the site’s email list or purchase their products and services. That’s true for your site visitors as well. If they love your content, they’ll be more likely to join your email list. Once they’re on your email list you’ll have additional opportunities to follow up with them and send additional valuable content that will get them to know you, like you, and trust you — leading to increased sales. Visitors become readers and then readers become buyers… at least that’s the goal. But a few things need to happen along the way. Your soon-to-be-buyers need their questions answered in an honest and helpful way. For example, if your business is laying down concrete pads for driveways, your reader might be wondering what you do to keep your concrete from cracking—there’s a blog topic, right there. One that is informative, entertaining, and answers a question that brings the reader a step closer to buying. Your prospects may also have objections like, “I need a new driveway, but I’m afraid it will take forever.” You could write a blog post on what people should expect in terms of time when it comes to installing a new driveway. Finally, your readers also need to believe certain things before it will make sense for them to become buyers—more topics for great content that lays a clear path for the journey from reader to buyer. While this content is designed to be educational and informative to your prospects it also overcomes any potential objections they may have and will lead to increased sales. Also, the fact that you’re publishing this type of valuable information will position you as an authority in your marketplace and make you stand out from the competition. Being able to build and audience and make sales is just one big advantage of content marketing with a blog. You’ve heard of the know/like/trust factor. It basically means that people don’t buy from companies—they buy from people that they know, like, and trust. In other words, they buy from people that they feel like they have a relationship with. Good content writing can help you build that relationship. Your content helps your prospects get to know you better. It also helps them decide if they like you. And it gives them a reason to trust you. If you regularly add good content to your site, as well as send it to your email subscribers, you’ll deepen the relationship. Every piece of content is another chance for your reader to affirm that he or she knows you better, still likes you, and trusts you enough to do business with you. Ultimately, content marketing doesn’t sell to your readers directly. But, when done well, it will increase your conversion rates. Otherwise what would the point be? Content provides customers a way to learn about your products and services and about your company without ever feeling like they are being sold. When they’re ready to buy, many of their questions and objections will be answered. They’ll have come to trust you and the information you provide. Most of the heavy lifting will be done, which means your sales materials will deliver better conversions. All because of content writing. Heather Robson is the Managing Editor of Wealthy Web Writer, a resource site for freelance web writers. Wealthy Web Writer provides both new and established web writers with articles, events, training materials, and more to help them succeed in the world of freelance web writing. It also offers a community of like-minded people to make the journey to success more fun.